Classic Coleslaw (Dairy-Free)! 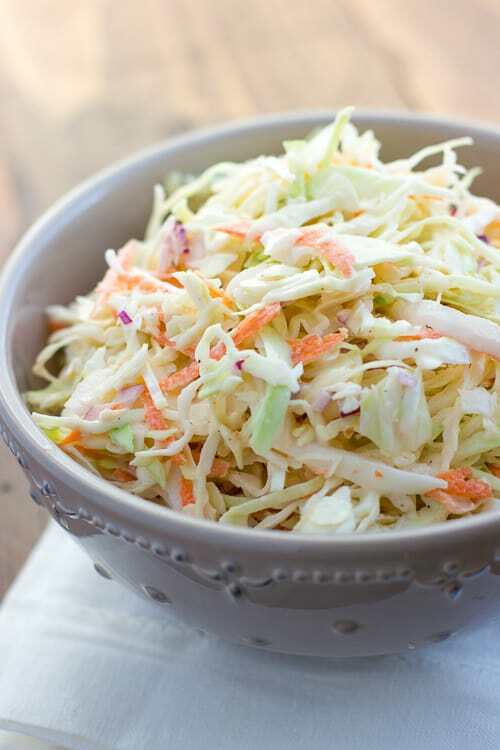 This coleslaw is just what you need at your next BBQ, potluck, or taco night! Sometimes creamy, crisp coleslaw is just what you need to complete a meal. 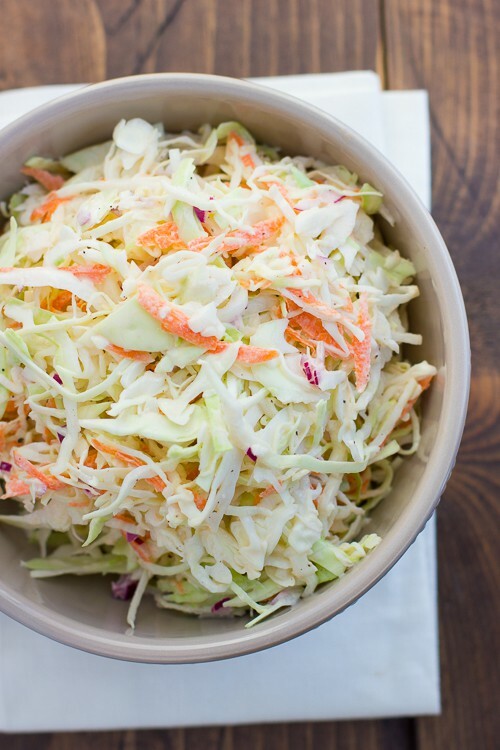 This is my go-to recipe for coleslaw. I’ve made it dozens of times and it’s as good as the best restaurant coleslaws I’ve had. The dressing is naturally dairy-free and made with a mayo base that you thin out with lemon juice and apple cider vinegar. I like using a cleaner, non-GMO brand for the mayo like Just Mayo or Primal Kitchen. There is no reason to be afraid of the fat in mayo if it isn’t made from inflammatory GMO oils! That is good news for mayo lovers like me. 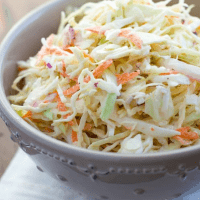 This coleslaw is perfect alongside Slow-Cooker Pinto Beans with Cornbread or as a topping for your favorite BBQ pulled pork or tacos. We ate this on slow-cooker carnitas tacos (recipe soon!) and couldn’t get enough. For a long time I didn’t know how healthy cabbage was. Don’t let it’s pale green color deceive you! Cabbage is a cruciferous vegetable which is the healthiest class of super-veggies. Besides cabbage, cruciferous vegetables include broccoli, brussel sprouts, kale, and more. They help your body detoxify and are full of vital nutrients. All the more reason to load up on coleslaw! This coleslaw is best if you mix it together and let it sit for 20 minutes-1 hour (but no longer than that!) before serving. 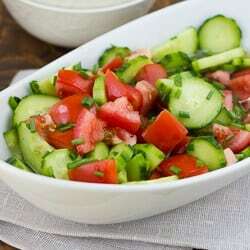 Serve it as a side dish or on your favorite taco/sandwich. Enjoy! Mix together the ingredients for the coleslaw in a bowl. Whisk together the ingredients for the dressing in a small bowl until smooth. Pour the dressing over the coleslaw. Toss to coat and let sit for 20 minutes before serving or up to 1 hour. MAKE IT EGG-FREE: Use a vegan brand of mayo. MAKE IT REFINED-SUGAR-FREE: Use honey in place of the sugar. Thanks for the gf, df recipe. 🙂 I used the shredded bagged coleslaw and added your suggestion of wet ingredients. It was great! Great! I’m so glad it turned out for you! Love this dressing! Used a shedded bagged cold slaw as well, and added the dressing. 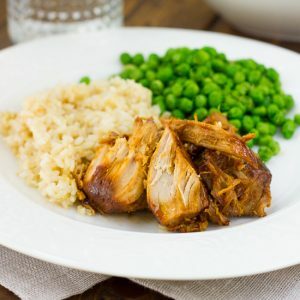 I’m dairy gluten and soy free and am always happy to find easy tasty recipes I can enjoy! Great recipe! I am enjoying it as I type (Smile).